CAA has named Anne-Imelda Radice, a senior consultant for the Dilenschneider Group, to the Board of Directors as an appointed director. Radice has a strong record of public service, serving in all three federal cultural agencies: the Institute of Museum and Library Services (IMLS), the National Endowment for the Humanities (NEH), and the National Endowment for the Arts (NEA). Prior to joining the Dilenschneider Group, Radice was director of the IMLS from 2006 to 2010. Previously acting assistant chairman for programs at the NEH, she served as chief of staff to the secretary of the United States Department of Education. In the early 1990s she was acting NEA chairman and senior deputy chairman. 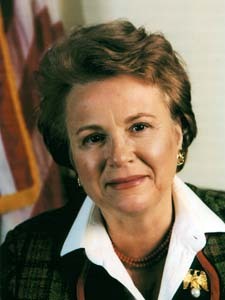 From 1989 to 1991, Radice was chief of the Creative Arts Division of the United States Information Agency and also served as the first director of the National Museum of Women in the Arts (1983–89). Before that she worked as a curator and architectural historian for the Architect of the Capitol and as an assistant curator at the National Gallery of Art. Radice earned a PhD in art and architectural history from the University of North Carolina, Chapel Hill, an MBA from American University in Washington, DC, and a BA in art history from Wheaton College in Norton, Massachusetts. She also holds an MA from the Villa Schifanoia in Florence, Italy. In addition to the areas of art, art history, museums, law, and finance that currently are represented on the board, CAA seeks expertise in marketing, technology, and philanthropy, among other areas. In February 2010, CAA members approved an amendment to Article VII, Section IV, of the organizational By-laws to establish a new category of appointed director to serve this function. Read more about the amendment. Challenges to membership societies have increased a great deal in the last decade. Even before the recent financial downturn, membership societies became more complex and expensive to operate. Fund raising, strategies to make the organization structure more efficient, and advice on offering member services in new ways, such as through digital technologies, are just some of the areas that are increasingly important to address and could aid our organization in its mission. CAA will benefit enormously from a variety of views and skills, brought by appointed directors, that will contribute to the organization’s growth and stability.